For the Schedule of Meetings and Events, see the link below. The Classics Club offers students the opportunity to interact with others who share their interest in the Greco-Roman world. Any student is welcome to join the Classics Club and play an active role in all club activities. Meetings are regularly announced in Classics courses and on Facebook. For further information, contact the current club president or the current faculty sponsor, Dr. Kristen Gentile. Chinese New Year! 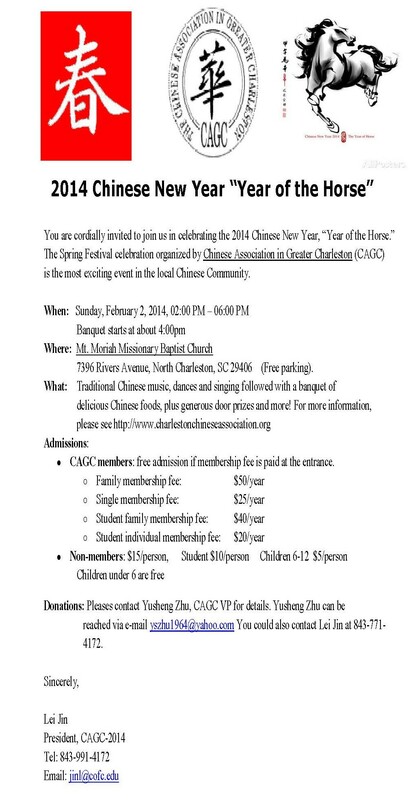 "Year of the Horse"
Background: In April 2014, the College of Charleston will host a series of events entitled, “From Equality to Quality: Commemorating the Brown v. Board of Education (1954) decision.” The “From Equality to Quality” commemoration series is broken into three events— two public forums and one local history project at Burke High School. 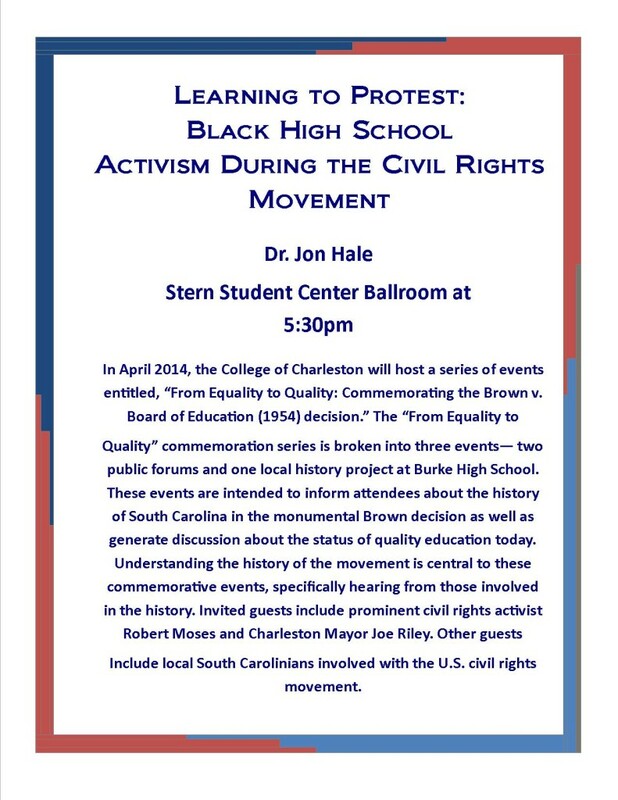 These events are intended to inform attendees about the history of South Carolina in the monumental Brown decision as well as generate discussion about the status of quality education today. Understanding the history of the movement is central to these commemorative events, specifically hearing from those involved in the history. 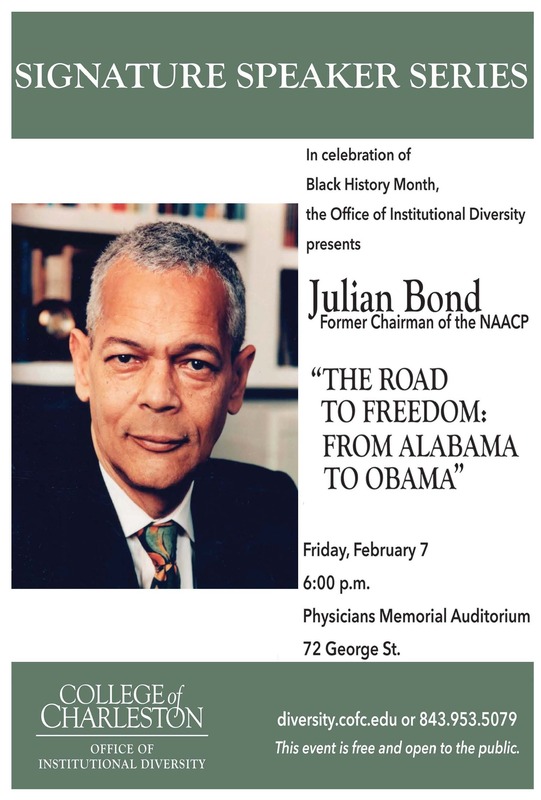 Invited guests include prominent civil rights activist Robert Moses and Charleston Mayor Joe Riley. Other guests include local South Carolinians involved with the U.S. civil rights movement.